Is your company planting seeds for future growth? Brewer Science continues to promote more skilled scientists and engineers in the American workplace through STEM. Having long recognized the need for a better education system leading toward proficiency in STEM fields. 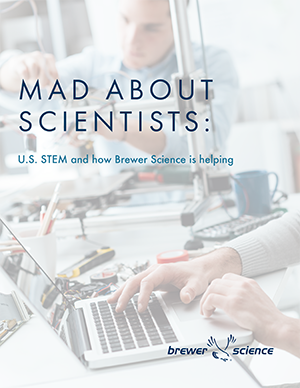 Learn how Brewer Science takes an active role in creating the spirit of entrepreneurship in the hearts and minds of future generations.